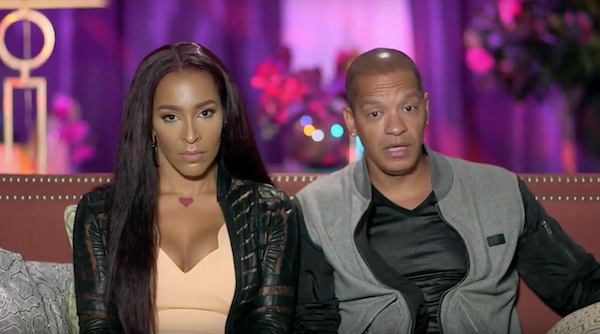 "Love & Hip Hop" couple Peter Gunz and Amina are still trying to work out their relationship that was doomed from the start. The couple, who share children together, did an exercise on tomorrow night's episode of "Marriage Boot Camp" where they discuss their balls of issues. Amina threw him the infidelity ball -- of course -- and Peter proceeded to tell her she should take 5% of the blame. Why? Because she knew about his relationship and cheating with Tara before they even got married. Amina swore he told her it would end once they got married, apparently because a piece of paper magically cures one of their cheating ways. Other couples even agree that Amina knew what she was signing up for with Peter's ex still in his life. Plus, drama ignites when Amina starts to realize she’s in a lose-lose situation with Peter. By the way, Peter continues to sneak behind Amina’s back to talk to Tara even while on this show. Of course. New episodes of "Marriage Boot Camp" air Fridays at 9/8C!